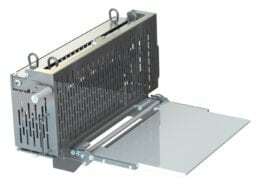 Fusion Tech custom designs and manufactures a wide range of meat presses for food processing companies. 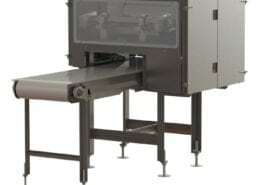 Designed to flatten and separate food product with minimal loss of purge, these meat presses provide consistent, inline pressure — giving you quickly flattened and separated meat. Our meat presses can be custom designed to meet the needs of your specific application and equipped with a number of safety, sanitation, and mobility options to help you get the exact solution you need. Constructed of high grade stainless steel with fully seal welded seams and open framework, these meat presses exceed all AMI Sanitary Design Requirements for use in the food processing industry and are durable enough to withstand the most demanding environments. Our meat presses are designed to retain purge and weight, keeping more money in your pocket. Our presses, except for the KT-ALP, are in-line operations paced to the line speed for quick and easy flattening. 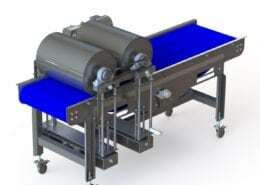 Fusion Tech meat presses can be custom designed to meet the needs of your specific application. Our meat presses are designed to be durable enough to withstand the most demanding use. 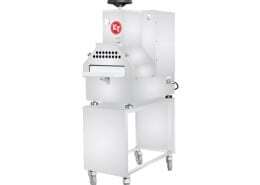 Our meat presses exceed all AMI Sanitary Equipment Design requirements, making them easy to clean and safe to use in food processing facilities. Download the product catalog to learn more about our Meat Presses. Our meat presses are designed to minimize the loss of purge and weight, keeping more money in your pocket. 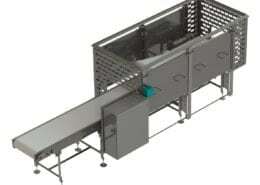 Flatten and separate meat product before entering further processing equipment to prevent clumping. 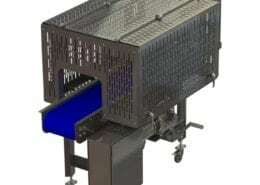 Meat Presses are custom designed to meet the needs of your specific application. Meat Presses can be custom designed to meet the footprint, belt height, press style, conveyor belting, and design you need.